Q: I filed and paid my 2013 income tax lability last November, at the time I did not have the funds to make a preliminary tax payment . How will this affect me? Should I make a payment now? A: Strictly speaking you would have been obliged to pay 100% preliminary tax in November or 90% of your current liability. If you have not met either obligation you may be obliged to pay interest to revenue when filing your 2014 return. This is calculated on a daily rate of 0.0219% (approximately 8% per year) and will be backdated to the date on which it should have been paid, i.e. November 2014. If you have not already done so, you should make the relevant preliminary tax payment to mitigate any potential interest charge, as soon as possible. If when filing your 2014 return this year, you are again not in the position to make the relevant payment you should contact Revenue to explain same. Revenue may allow a payment at a later date without attracting interest, if made promptly. 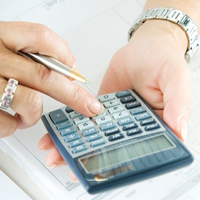 Your accountant can advise on this and assist with contacting Revenue.